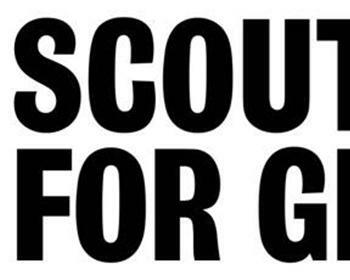 Scouting For Girls release their new single, ‘Don’t Want To Leave You’ on the 10th October through Epic Records. It is taken from their acclaimed second album, ‘Everybody Wants To Be On TV’. 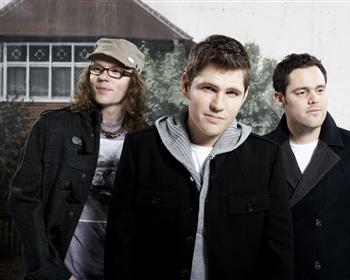 Scouting For Girls have quickly picked up where they left off in 2008, as one of Britain’s best and most successful pop bands. Their anticipated return this year began with the soaring, epic single, ‘This Ain’t A Love Song’ entering the chart at number 1, followed by the new album ‘Everybody Wants To Be on TV’ debuting at number 2. It was an emphatic re-introduction to a band who are hellbent on cramming more melodies and instantaneous hooks into one song than many bands manage across an album. The success of ‘This Ain’t A Love Song’ on the country’s airwaves was also impressive, receiving more radio-play than any other artist for over a month. It was acclaim that translated across Europe too, with sold-out shows and well over-due international success. Summer 2010 has seen the London trio play huge outdoor headline shows and festivals, ensuring the fields of Britain have been bouncing to the band’s infectious songs for months. And despite country-hopping from stage to stage since early April, Scouting For Girls have made sure they kept to their word as ambassadors of the Wellchild charity. In late August, the band took to the busy roads on chopper bikes to do a sponsored ride from London to Brighton Pier, with all raised funds going to the charity. Enduring 60 miles on second-hand bikes bought from eBay with little to no training Roy, Greg and Pete raised over £20,000. The new single ‘Don’t Want To Leave You’ is a touching ballad; a beautiful lament that justifies Roy Stride’s place as one of the most successful British songwriters in years.